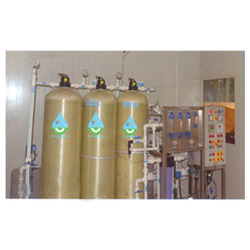 Manufacturer of a wide range of products which include sustainable drinking water system. We feel proud to introduce ourselves as the well-known manufacturer and supplier of Sustainable Drinking Water System. The offered sustainable drinking water system is widely used for the purification of raw and underground water. Our supplied sustainable drinking water system, removes the dissolved metals, salts and nitrates. The offered sustainable drinking water system is very affordable and cost effective in price. Looking for Sustainable Drinking Water System ?